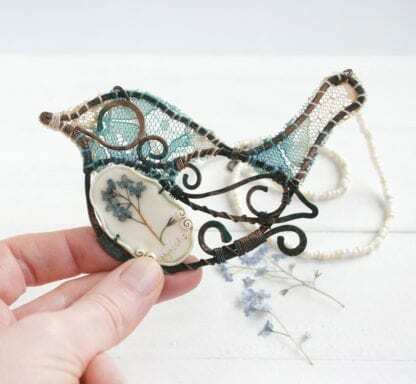 The beautiful bird necklace with a real Forget-me-not flower. Hand forged and hand painted with a patina process copper. The copper detail has a stylish rustic texture. Surface is quality polished. Pretty soft cream tones beads and lace look so vintage and romantic.